Dream Award Let’s Keep More Dreams Alive. 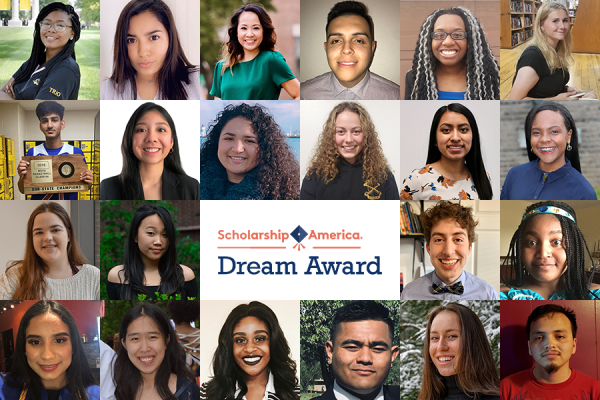 Through the Dream Award, we’ve directly awarded over $1.5 million to 86 Dream Award recipients, ensuring talented students can finish what they started. Students who receive the Dream Award have completed at least their first year of their college education, have a significant financial need, and have overcome obstacles through sheer determination. Have received a high school diploma or the equivalent from a U.S. school by September 2019. Have completed or expect to successfully complete a minimum of one full year of postsecondary education by June 2020. Plan to enroll in full-time undergraduate study at the sophomore year level or higher at an accredited two- or four-year college, university or vocational-technical school in the United States for the entire 2020–21 academic year. Help Us Keep the Dream Going. With your donation, we can help more students overcome the obstacles in their way.